Global trade depends on the safe navigation of the world’s seas, and navies have to contend with a range of rapidly-developing new threats. Modern anti-ship missiles (AShMs) and torpedoes must meet these burgeoning challenges and compensate for advances in countermeasures. Manufacturers of such weapons are giving a great deal of thought to how threats are evolving, and how this affects their market. For example: “(piracy and insurgent) activity are new threats that have proven very difficult to counter with existing anti-ship weapons,” states Mati Hindrekus, head of marketing communications at MBDA. 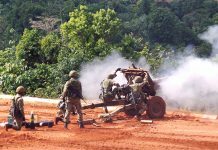 The European company has a number of products that have been designed with such threats in mind, Mr. Hindrekus said. MBDA’s Sea Venom/ANL anti-surface, infrared guided, 10.7 nautical mile/nm (20 kilometre/km) weapon is designed to allow the engagement of traditional enemy craft such as corvettes or Offshore Patrol Vessels, but it also is able to select a specific aim-point on the target, such as the stern or the bridge. 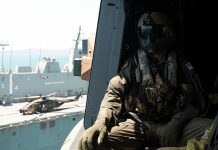 “This capability of course allows a surgical approach to an operation, either neutralising the bridge and hence the targeted vessel’s command structure, or knocking out its ability to steer, in both cases leaving the vessel and its crew largely unharmed,” Mr. Hindrekus said. 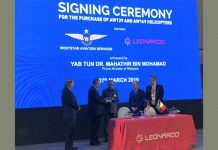 The Sea Venom/ANL can be launched from a number of different rotorcraft, such as the NH Industries’ NFH-90, Airbus Helicopters’ AS-565 Panther and the AgustaWestland AW-159 Wildcat naval support helicopters. 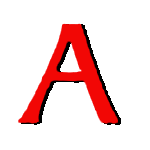 The weapon remains in development for the United Kingdom and France. Mr. Hindrekus goes on to highlight the threat from Fast Inshore Attack Craft (FIAC) saying these call for “very specific capabilities in a weapon”. He said MBDA was marketing its Brimstone missile as a solution to this threat. The missile “can fire in salvo against rapidly moving and manoeuvring targets thanks to its millimetric radar seeker,” he continued. Brimstone is currently in use with the Royal Air Force (RAF) as an air-launched weapon from its Panavia Tornado GR.4/A ground attack aircraft and is being integrated onto the service’s Eurofighter Typhoon F/GR.4 fighters. The weapon has been deployed in combat by the RAF both during Operation ELLAMY, the United Kingdom’s contribution to the North Atlantic Treaty Organisation’s air and sea campaign to protect Libyan civilians from forces loyal to Colonel Muammar Gaddafi during that country’s civil war in 2011, and more recently during Operation SHADER, the UK’s contribution to US-led efforts directed against the Islamic State of Iraq and Syria insurgent organisation. 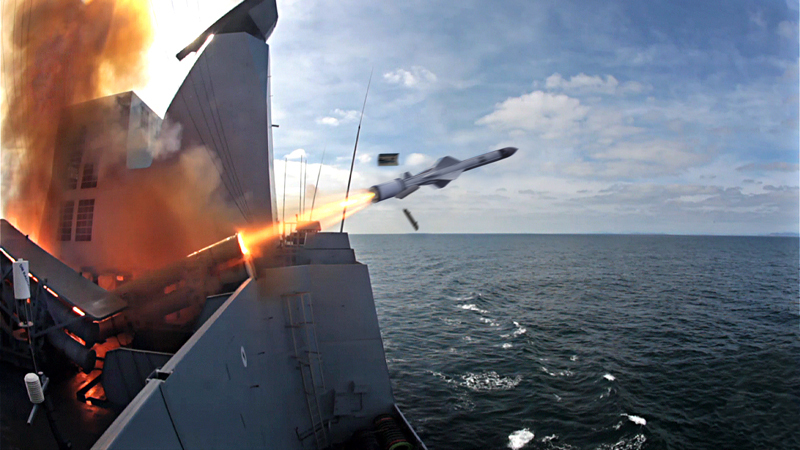 One of MBDA’s major products in the anti-ship domain is the Exocet family of AShMs. 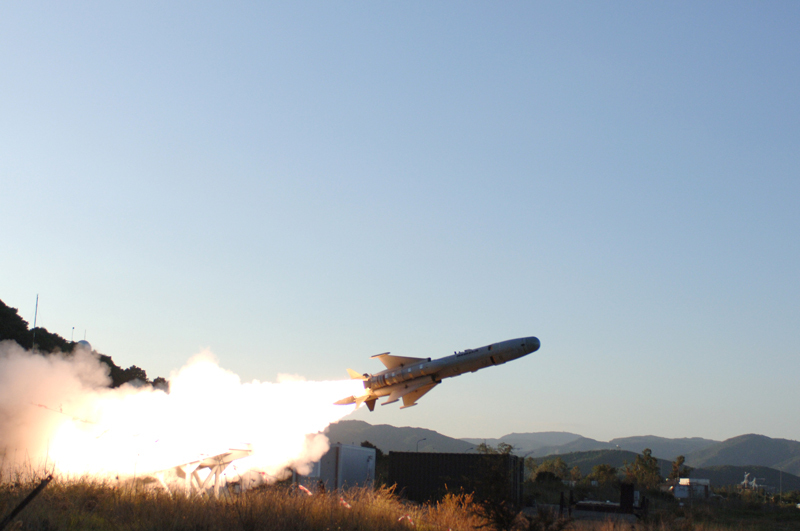 The current MM40 Block-3 variant has a range of around 107.9 nautical miles/nm (200 kilometres/km), and can be programmed with three different waypoints to vary its ingress to its target, so that “ a ship’s defence system will not always realise that (the missile) is indeed intended for that target,” continues Mr. Hindrekus. Along with its traditional radar guidance, the MM40 Block-3 can accept Global Positioning System (GPS) coordinates to hit in-land coastal targets. Beyond the Exocet family, Mr. Hindrekus highlighted MBDA’s Otomat Mk.2 Block-4 ship-launched AShM which has a range of over 97.1nm (180km), and the Marte family of anti-ship weapons, which does not have the large ship lethality of the Exocet family or the Otomat Mk.2 Block-4 but “is still capable of inflicting serious damage to larger vessels.” The Marte family is available in helicopter, fixed-wing aircraft and coastal battery variants. Among others, both the Otomat and Marte families are in service with the Marina Militare (Italian Navy). 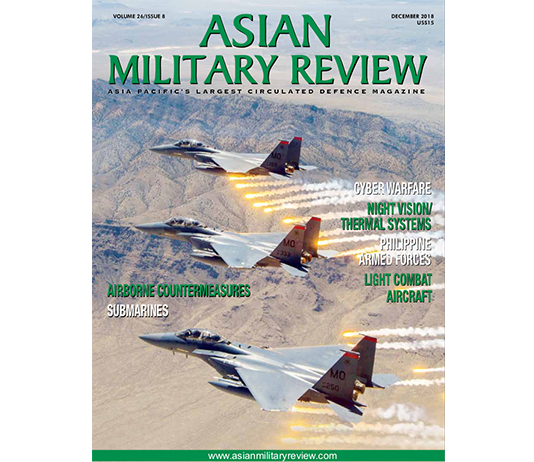 A number of companies the author spoke to identified the ability to operate from longer ranges as one of the major areas of evolution in the missile business, with the ability to engage targets from greater, and therefore safer, distances a key challenge. “Generally anti-ship missile technology has advanced mostly in the area of boosting range and improved seeker technology,” said Ron Jenkins, director of precision standoff strike mission area for Raytheon’s missile systems business. Kongsberg has worked in the anti-ship missile market since the 1960s, with the latest variant of its Penguin anti-ship cruise missile currently operated by Norway and seven other countries. The radar-guided Penguin is designed for use in the open sea and in the littorals, and can be launched from various platforms, including surface ships, fighter aircraft and helicopters. The company states that Penguin was developed “to meet the complex operating environment encountered in the Norwegian littorals”, and that “many nations have expressed serious interest” in the missile. 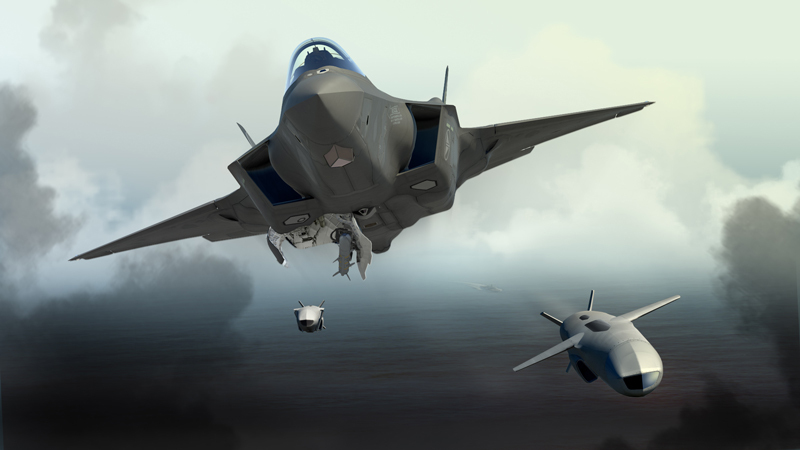 Mr. Lohne drew particular attention to the Naval Strike Missile (NSM) and the Joint Strike Missile (JSM), both of which are being developed and marketed in partnership with Raytheon. He said they were the only fifth-generation missiles to have a very low radar cross section in combination with fully passive engagement in a lightweight composite airframe. The passive engagement employed by the missiles uses Automatic Target Recognition, which enables them to distinguish between ships and land, as well as different ship classes and types. “In conclusion, both the NSM and JSM employ new and recently developed technology increasing the possibility to penetrate a modern warship air defences.” As these missiles are not employing radar, there are no Radio Frequency emissions made by the missile as it hunts for its target. The NSM has a range of over 107.9nm (200km), and is in use with Norway’s ‘Nansen’ class frigates and ‘Skjold’ class corvettes. Poland uses the NSM in its truck-mounted coastal defence configuration, and Malaysia selected the NSM for its Littoral Combat Ships (LCSs) in 2015. The missile was successfully fired from the US Navy ‘Independence’ class LCS USS Coronado in 2014. Raytheon and Kongsberg are pitching the NSM to the US Navy, although there is no word on when such a procurement could take place, or what ships this weapon could equip. 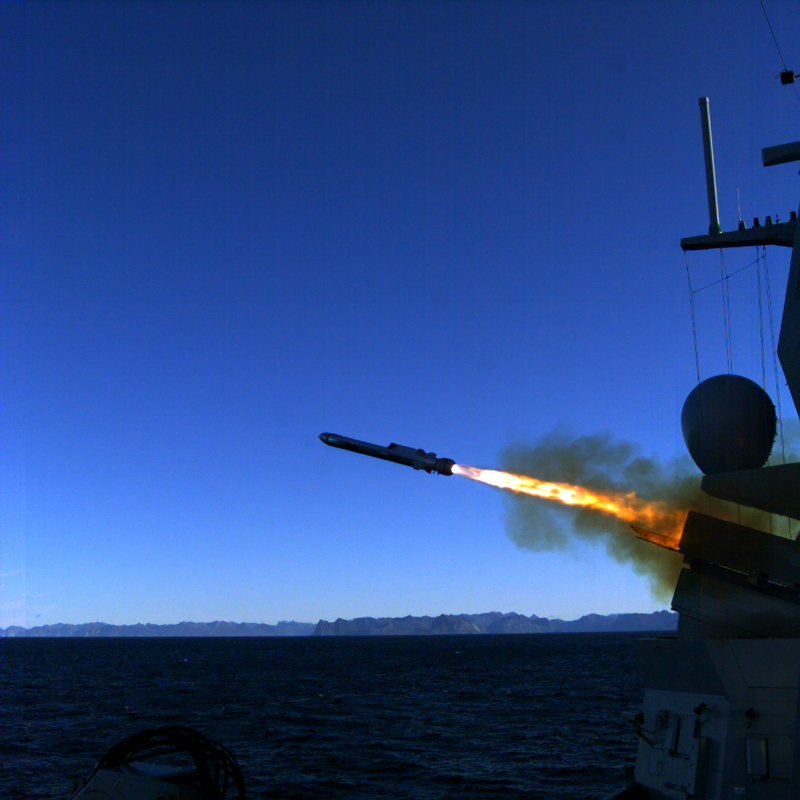 “Kongsberg and Raytheon believe that the NSM would enable the US Navy to avoid substantial developmental costs while fielding modern and proven precision strike capabilities in anti-ship and land attack” missions, said Mr. Jenkins. Staying in the US, a spokesperson for Lockheed Martin told AMR that air- and surface-launched cruise missiles for engaging land and maritime targets “will be a large portion of the smart weapon future for the next couple of decades. It is likely that weapons that are survivable in anti-access and GPS-denied areas will be the go-to choice for at-sea warfare.” The company highlighted its AGM-158C Long Range Anti-Ship Missile (LRASM), which is in service with the US Air Force and US Navy. The AGM-158C is based on the AGM-158 Joint Air-to-Surface Standoff Missile-Extended Range (JASSM-ER). 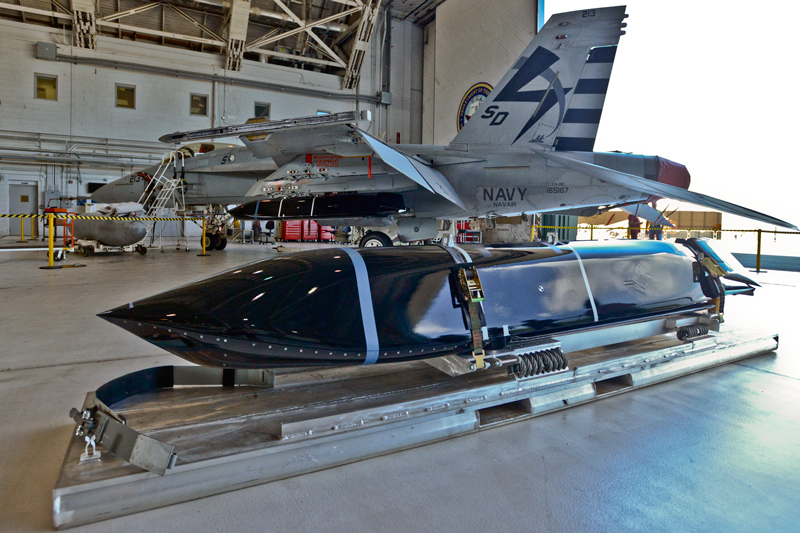 The first prototype captive-carry flight tests of the AGM-158C were carried out on a US Navy F/A-18E/F Super Hornet fighter in December 2015. The spokesperson said that while “our main focus for the AGM-158C is delivering a much-needed capability to (the) US Air Force and US Navy,” the company “stands ready for any future interest from our strategic allies should the US Department of State and the Department of Defence direct us to respond.” The company told AMR that is expects the AGM-158C to enter United States Air Force service on the Rockwell International/Boeing B-1B strategic bomber, and on the US Navy/US Marine Corps’ Boeing F/A-18E/F Super Hornet fighter in 2018 and 2019 respectively. Finally, Israel is also in the business of AShM provision. To this end, Israel Aerospace Industries has developed the Gabriel family of weapons, with the Gabriel-5, launched in 2013, being the latest incarnation. Alongside Israel, Gabriel family missiles are operated by the navies of Azerbaijan, Eritrea, India, Kenya, Mexico and Taiwan, amongst others. 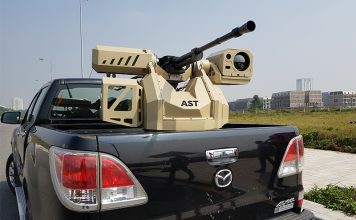 This latest variant of the weapon uses active radar homing, and has been designed to operate in cluttered littoral environments. However, its range and speed has not been revealed by its manufacturer. Beyond missiles, torpedoes play a key role in the naval battle, and torpedo technology has advanced in a number of ways over the last twenty years, a spokesperson for BAE Systems told AMR. There is more use of inertial measurement systems in guidance, and fibre-optic links provide greater tactical data bandwidth between the weapon and the submarine. The safety of warheads has been advanced through the use of insensitive warheads and exploding foil initiator detonators. Additionally, the use of ducted propulsion systems has improved efficiency and manoeuvrability. 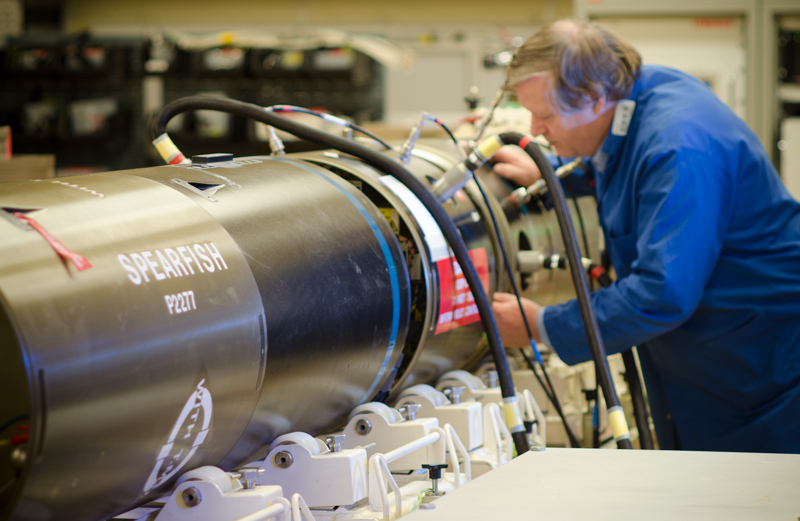 BAE Systems received a contract from the UK Ministry of Defence in December 2014 to upgrade the Spearfish torpedo in use with the Royal Navy, which means the weapon will remain in service until at least the mid-2030s. The UK is currently the only customer for the weapon. BAE expects the use of torpedoes to increase worldwide in the coming years, with tactical upgrades to combat anti-torpedo torpedoes and other torpedo countermeasures. The company envisages changes to torpedo hull manufacturing technology possibly including the use of three-dimensional printing, as well as the use of advanced battery and motor technologies, non-acoustic detection techniques, and greater commonality between heavyweight and lightweight torpedoes, in such areas as sonar processing and guidance. Discussing the state of the global market, the spokesperson said that while some nations are interested in acquiring a torpedo capability, this has mostly been focused on industrial collaboration and technology sharing. “We would interpret this as being due to the fact that operators looking for advanced anti-surface warfare and anti-submarine warfare heavyweight torpedoes tend to either have some existing indigenous capability, or are tied to certain suppliers as a result of acquiring particular classes of submarine,” they explained. Raytheon is also a major player in the torpedo arena, with its Mk.54 operated by the US Navy from surface ships, helicopters and fixed-wing aircraft to detect and attack underwater targets. Raytheon “works directly with the US Navy to meet the lightweight torpedo requirements of US and Allied fleets,” said Jon Berglind, Mk.54 programme manager at Raytheon. The torpedo has been exported to India, Turkey and Australia.